I was going through my emails this morning and found an old story I wrote while I was a Senior Producer with WCBS. 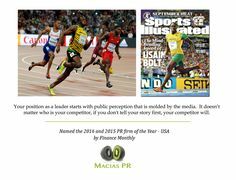 A global PR agency had asked me to write an article for their employee newsletter, giving their publicists some tips on how to write a better media pitch. I reread the story and thought this was some valuable information today for business owners and entrepreneurs trying to get their stories told on the news. It gives you some perspective on how to make your story stand out.